Fr. Nicky Santos, S.J., Ph.D., teaches in the business school at Marquette University. He was a visiting scholar at Santa Clara University in the Markkula Center for Applied Ethics, and has been involved with the Center for Science, Technology and Society. He has published a number of articles in academic journals having to do with marketing ethics and social entrepreneurship. Teaching Leadership while Trekking in Ignatius of Loyola's Footsteps. "In November, 2016, Chris Lowney and Steve Porth led a cohort of MBA students on a 50-mile, 5-day trek/for-credit leadership course. Participants trekked the same route that Ignatius of Loyola traveled in his life-changing and history-changing journey of 1522. As they went, participants read, pondered, and discussed a number of leadership texts; enjoyed the occasional glass of red wine to dull the ache of sore knees or calfs; and visited some of the most famous sites in Jesuit history: Manresa and Montserrat. Lowney and Porth will outline the course, its methodology, and pedagogy; share photos that convey a sense of the landscape; offer an assessment of what worked well and what could be changed in future iterations of the course; and leave attendees with a detailed blueprint for easily replicating the course in their own institutions." Chris Lowney a one-time Jesuit seminarian, later served as a Managing Director of JP Morgan & Co in Tokyo, Singapore, London, and New York until leaving the firm in 2001. He currently chairs the board of Catholic Health Initiatives, one of the nation's largest healthcare/hospital organizations, comprising more than 100 hospitals, with annual revenues exceeding $16 Billion. He has also authored five books, including the bestselling Heroic Leadership: Best Practices from a 450-Year-Old Company that Changed the World. It has been translated into eleven languages, has been named to the recommended reading list of the U.S. Commandant of the Marine Corps, and is used widely as a leadership text in universities and business schools. His just published new book is Everyone Leads: How to Revitalize the Catholic Church. Chris grew up in Queens, NY, graduated from Fordham University, hates the Yankees, and roots for the Mets without feeling shame. Stephen Porth is Associate Dean and Professor of Management of the Haub School of Business at Saint Joseph's University (SJU), Philadelphia, PA, USA. He serves as Executive Director of Graduate Programs, and as the Chair of the Food Marketing Department. He served as past president of CJBE, and is Senior Editor of the Journal of Jesuit Business Education. His expertise lies in the areas of strategic management, leadership, management consulting, and business ethics, and he has written two books, and has published extensively in management journals. Dr. Porth is also a management consultant, specializing in leadership development and strategic management programs. The major decree which came from the 2016 Jesuit congregation was "Companions in A Mission of Reconcilliation and Justice" (HERE). In it, we are reminded that "God labors in the world" and that we "are called to be companions of Jesus and “co-workers with God.” in helping to bring about restoration and healing in the world"(#3) In addition, it highlighted that, "In all we do, we want to heed Pope Francis, who has urged us to promote dynamics of personal and social transformation" (#37) Similarly, in light of the document Vocation of the Business Leader (HERE) (Pontifical Institute for Justice and Peace), we realize as business educators the importance of seeing business as itself a vocation and calling, and so we seek to give our students a vision of seeing their business practices as bringing glory to God-- hoping to participate in the redemption God seeks, as we engage in business to transform culture, society and the world itself. Peter Balleis SJ, is Executive President of Jesuit Worldwide Learning. He was previously International Director of Jesuit Refuge Services. Originally from Bavaria, Germany, he joined the Jesuits in 1981 and started working at JRS in 1994. At JRS, he served for five years as director of services for the Southern Africa region, as a fundraiser and advocate in Germany, and from 2007- 2016 as global director. In 2016 he became executive president of Jesuit Worldwide Learning. Francis Xavier Perianayagam, SJ is Vice President of Global Academics and Research for Jesuit Worldwide Learning. 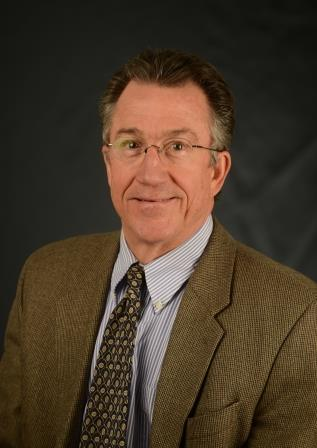 John Gallagher, Ph.D. is Professor of Management at Maryville College near Knoxville, TN and at the University of Tennessee’s Center for Executive Education. He is the author of Structures of Grace which highlights the unique business practices of a number of American companies who are part of the Economy of Communion. John has also published a number of academic articles on management, and he had a prior career in business for nearly 15 years before going into academia. 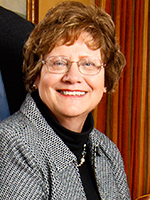 Jeanne Buckeye is the Interim Director of the John A. Ryan Institute; Associate professor of Catholic Studies at the University of St. Thomas in Minneapolis, Minnesota. Andrew Gustafson is Associate Professor of Business Ethics and Society at the Heider College of Business at Creighton University in Omaha, Nebraska. He publishes in philosophy and business ethics journals, and also runs a real estate development/rental company which is a member of the Economy of Communion. Thomas Purcell, PhD. has been an accounting professor at Creighton for nearly 40 years, and has won numerous awards, published many papers, and given testimony before congress on tax matters. He is a devoted professor who exemplifies cura personalis with his students. As a founding faculty member in the Jesuit DBA program, he has a ground-floor perspective on the program. Dr. Paul Buller is a Professor of Management and holds the Kinsey M. Robinson Chair in Business Administration at Gonzaga University where he teaches courses in strategic management and entrepreneurial leadership. He is the founding Director of the Hogan Entrepreneurial Leadership Program at Gonzaga. He has done research and consulting in private and public sector organizations on various aspects of organizational effectiveness, including strategic management, global ethics, human resource management and organizational change. He has or is serving on the editorial boards of Journal of World Business, Human Resource Management, and Journal of Jesuit Business Education, and is past president of the Western Academy of Management.